An elegant feline breed, Oriental Shorthair traces its origin back to Thailand centuries ago. 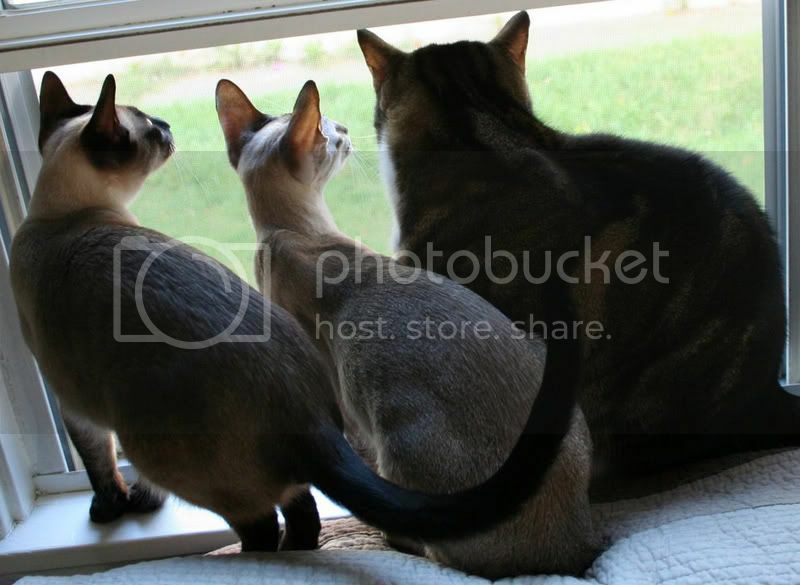 It occurred in Siam, alongside the Siamese for a long time as a self-colored cat and was brought over with other cats from the Orient to Britain in nineteenth century. Even as it was initially just considered a non-pointed version of the Siamese, the Oriental Shorthair gained formal recognition only in the twentieth century when, in the fifties, development of the cat was started through breeding with Abyssinians, Domestic Shorthairs, Russian Blues and Siamese. The cat was termed as 'Foreign' in United Kingdom and 'Oriental' in United States. It was another two decades before official recognition and championship status was given to the graceful cat. Today it is registered and recognized as a distinct entity in nearly all cat fancies around the world. Occasionally, as in the case of Cat Fanciers' Association, it is coupled with its sister breed, the Oriental Longhair, into a single breed called simply the Oriental. A svelte and finely built animal, the Oriental Shorthair is amongst the most attractive of all domestic cats. Its lithe, tubular body appears slender but is in fact quite well muscled. Head is wedge shaped with large pointed ears and slanted almond shaped eyes that occur in blue or green colors. Legs and tail are long. Coat of the Oriental Shorthair occurs in an amazing array of colors and patterns, with over three hundred variations recognized. Combinations include bi-color, parti-color, shaded, smoke, solid and tabby. Like their longhair counterparts Oriental Shorthairs are prone to certain ailments in some of their lines. These include dental disorder, amyloidosis of liver and dilated cardiomyopathy. These conditions are rare overall though and generally the cats live a long healthy life of fifteen years or more. Oriental Shorthairs are very curious and intelligent. They like to explore everything and are not shy to open cabinets and get on top of cupboards to satisfy their natural inquisitiveness. They are athletic and maintain their active, playful lifestyle even as they age. Overly attached to people, they are often compared to dogs, like some other cat breeds, owing to their loyal and affectionate personality. Their silky, short fur doesn't shed and stays well maintained even with grooming by hands. Oriental Shorthairs are slightly demanding vocal cats though and fare best in a social atmosphere where they are bestowed with attention and love appropriate for their great beauty and pleasant temperament. Yes indeed! I need my love and play time!! Want to see more posts from you. Thank you for sharing this breed.